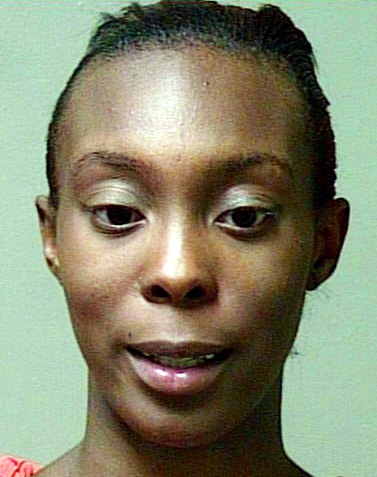 (Tuesday, July 1, 2014) OCCC student Elliott Shanice Bryant, 21, is currently being held in Oklahoma County Jail  on a $10,000 bond after leaving her daughter, 2, alone in her car while at the college. Bryant is charged with child neglect. Around 5:37 p.m. on Monday, June 30, OCCC police received a call after another student noticed the young girl alone inside Bryant’s gray 1995 Chevy Camaro, said Marketing and Public Relations Director Cordell Jordan. Surveillance video footage of the area shows Bryant leaving the car in the parking lot about an hour before. Records indicate Bryant is not currently enrolled in summer classes but has enrolled for the fall semester. Oklahoma City Police Sgt. Gary Knight said Oklahoma City police were contacted by OCCC about the incident about 6 p.m. Monday. Knight said officers on the scene said the child appeared to be fine. “The child was not injured,” Knight said. “Although the child had been in the car for over an hour, the windows were cracked (and) the car was not running — which is certainly a very dangerous situation for a child. “They had EMSA check the child and EMSA had the child taken to Children’s (Hospital) because of the prolonged time in the car, just to make sure everything was okay,” he said. Bryant told officers on the scene that she had contacted the child’s father and made arrangements for him to pick up the child. The father told police Bryant had not contacted him. A check of Bryant’s phone by Oklahoma City police confirmed that. An online search showed the temperature at the time the child was in the car was 94 degrees which can be dangerous or even deadly for a young child, said Amber Rollins, director of KidsandCars.org. KidsandCars.org is a “nonprofit child safety organization dedicated to preventing injuries and death to children in or around motor vehicles,” according to its website. Rollins said the outcome could have been very different. Rollins said a number of factors weigh in as to how hot the inside of a car gets and how a child can be affected. The increase in temperature happens quickly, Rollins said – usually in the first 10 minutes. An infinite number of things can go wrong when leaving a child in a car, she said. Rollins said those things are usually not on a person’s mind when a child is left in a car unattended. “It’s not necessarily that people who intentionally or knowingly leave their children [are] bad parents, but maybe they just truly didn’t understand the extreme risks involved with leaving their child [in the car],” she said. The Kids and Cars website shows that, this year in the U.S., 23 children have died from heatstroke after being left or trapped in vehicles. It lists heatstroke as the leading cause of non-crash vehicle fatalities for children 14 and younger. For more information, visit KidsandCars.org . The Pioneer will update this story as more information becomes available.